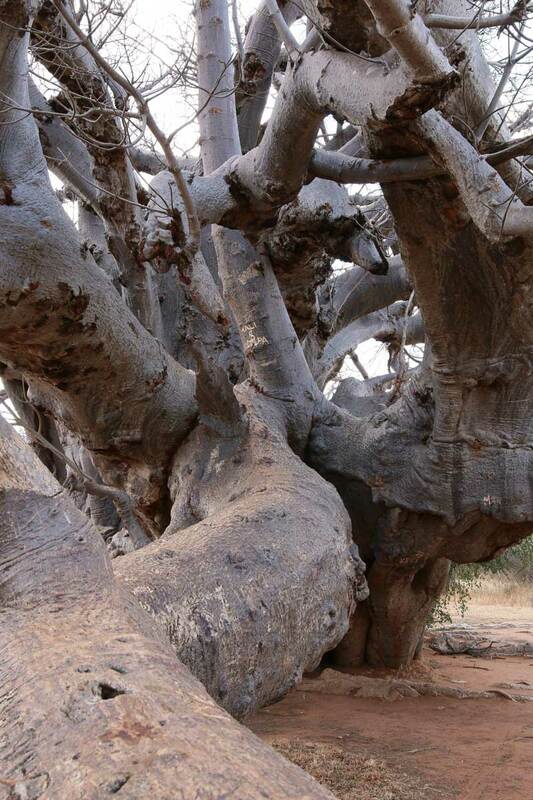 The Sagole Baobab (or Big Tree near Thohoyandou) stands proud with its fat and sturdy trunk and its gnarled branches, so intertwined and entangled that they have become one in places. Its greyish smooth bark reflecting the midday sun. 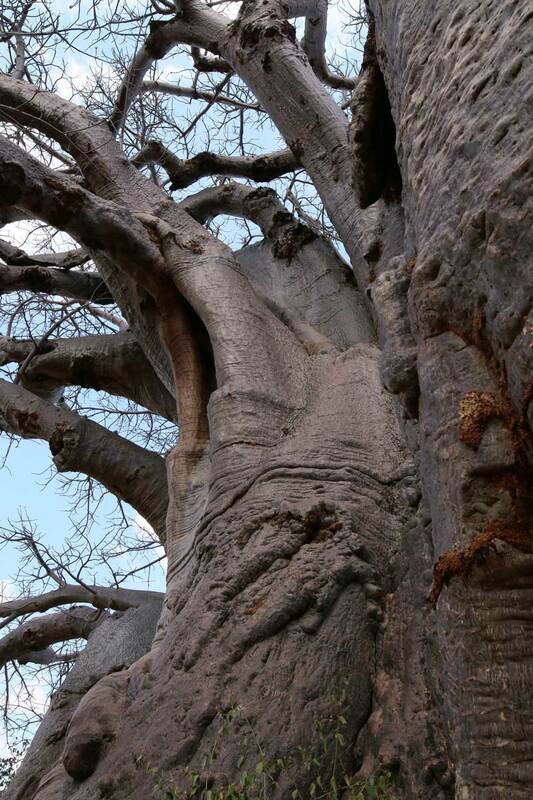 This baobab exhumes strength and it’s no wonder the Venda people call it muri kunguluwa – the tree that roars, after the sound the wind creates when playing between the branches that spread out haphazardly up into the sky. This giant has been carbon dated as 1,200 years old, but many local people believe the tree is much older, more likely 3,000 years old. 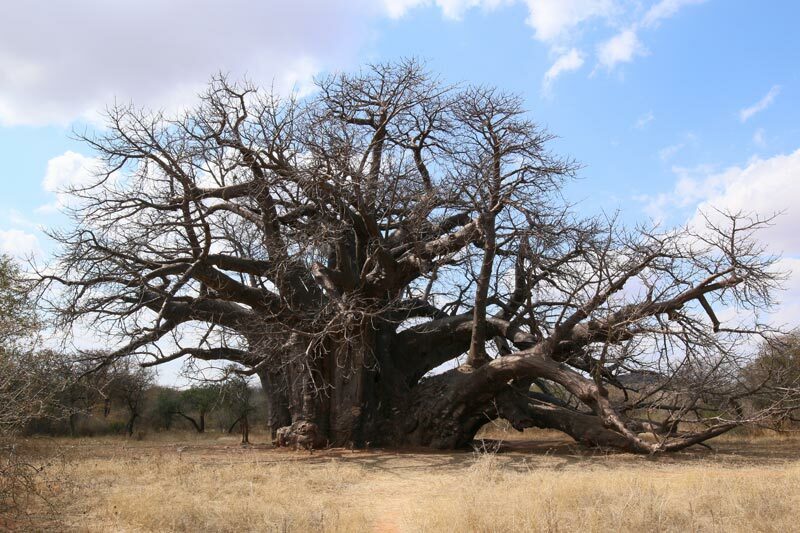 This longevity together with its strength have given the baobab symbolic value throughout history. 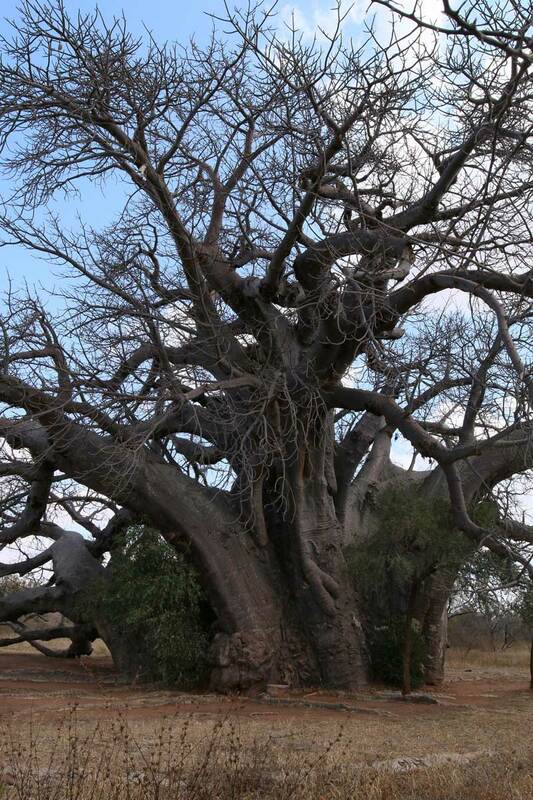 Many indigenous people believe the spirits of their ancestors inhabit the baobab and hence the tree often plays a central role in ceremonial rituals and sacrifices. 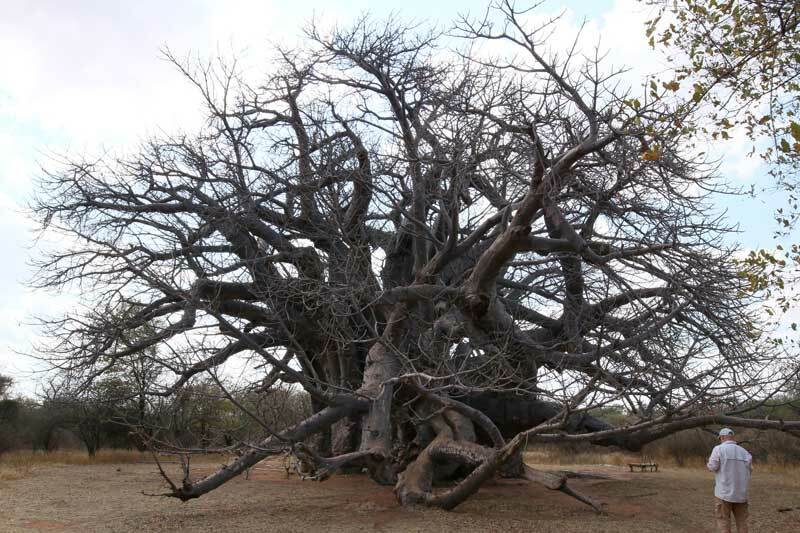 Whatever its true age, this majestic tree has most definitely witnessed the rise and fall of the Kingdom of Mapungubwe and seen traders of gold and ivory travelling between what is now Limpopo and the Swahili coast. It has given countless San tribes shelter under its crown and offered its dried leaves as mosquito repellent. It will have been a landmark for many Voortrekker families exploring the northern regions of South Africa in their ox-wagons. 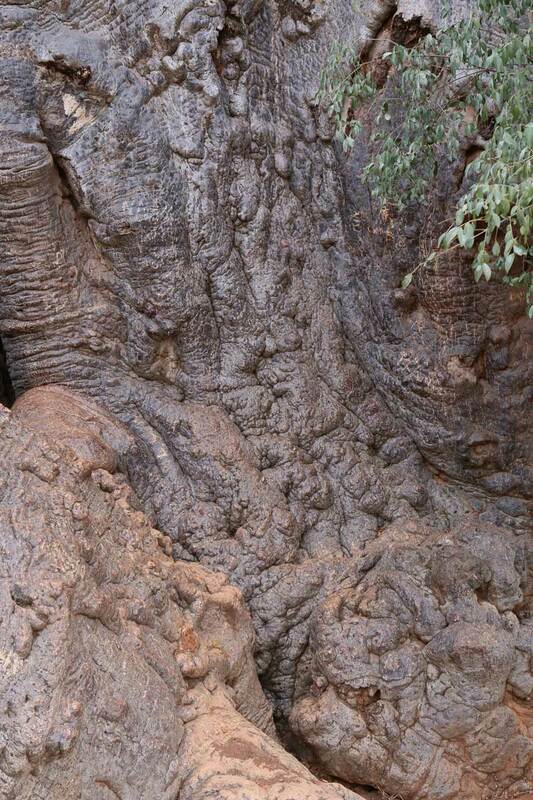 We all know one of the legends of the baobab’s origins. When god took a dislike to the arrogant baobab growing in his garden, he plucked the tree from the soil and threw it over his garden wall, where it landed with its roots up in the air and continued to grow and flourish. The baobab tree will continue to hold such mystical powers. To me, the Sagole Baobab reflects the essence of Africa – its longevity Africa’s ancient history, its robustness the strength of the indigenous people, and its myths the many stories and legends that will continue to be told across our rich continent. 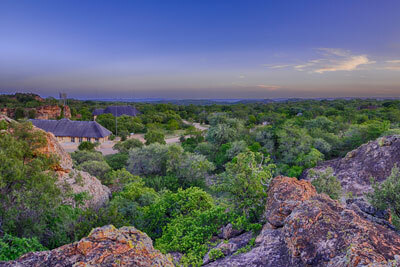 A visit to the Sagole Baobab is easily done when staying at Awelani Lodge.